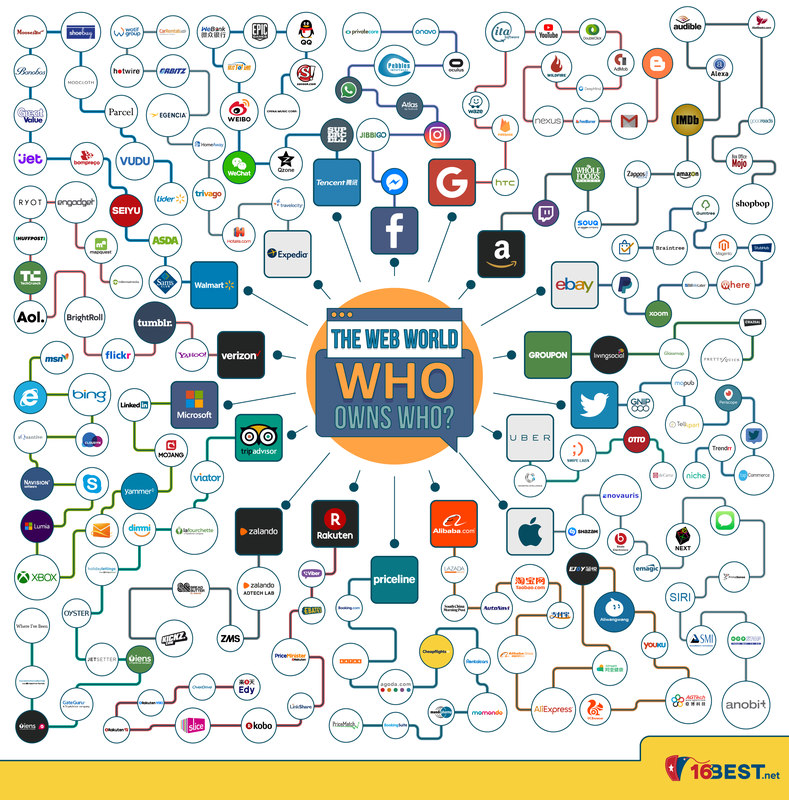 Infographic: The Web World – Who Owns Who? You may be surprised to learn that not everything is as it seems on the world wide web. While the internet may seem to be an entrepreneur’s playground, just a few large companies own a whole heck of a lot of the e-commerce, news, and social networking sites on the net, as the infographic below shows.